Secluded cove, soft white sand, sparkling turquoise waters, tropical coral reef, no people – sound too good to be true? You actually won’t find this on Phu Quoc. To discover paradise, escape to the An Thoi islands, an archipelago of 15 islands and islets just off the southern coast of Phu Quoc. 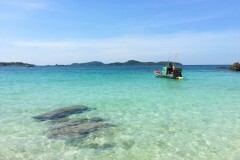 The islands can be reached by charter boat. Though commercial boat tours advertise they go there, they never venture further than the first row to save on petrol – but the islands in the middle and the south are where it really gets gorgeous and special. Dive centres rarely do trips here even though several insiders told us the reef was better. The best way is a do-it-yourself adventure, and here’s how. It’s prudent to go with a buddy. Also, if you’re on a tight budget, then gathering a few more new friends to join will help with the cost of the boat. We suggest preparing a picnic and why not make it memorable. We’re true desert island aficionados so we went all out: buy fresh seafood, vegetables, a wire grill and some charcoal at the market and have your guesthouse or a restaurant wash, prepare and marinade it (most are happy to do it for a negligible charge). They may even loan you a cool box and some plates and tongs. Buy plenty of drinks and remember to bring matches or a lighter. Travel to An Thoi port at the southern tip. Here a boat organiser will likely find you. We hired a boat through Mr Phu (T: 0123 7799 141) who could speak a little bit of English and worked with five boats. Or you can ask your hotel to call him and make arrangements in advance. 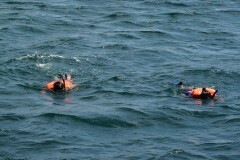 We hired a boat for a whole day, bringing us to two islets Hon Xuong and Hon Gam Ghi, for 1,000,000 dong. It takes about one hour to reach Hon Xuong. We drove into a petite secluded cove on the western shore and found Eden. It may be difficult to drag yourself away from Hon Xuong but Hon Gam Ghi gives you another spectacular vista and a reef (bring your own snorkel mask). And when it’s time to finally head back, remember to leave no trace and take all your ... please log in to read the rest of this story. 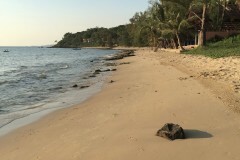 A selection of some of our favourite places to stay in Phu Quoc Island. 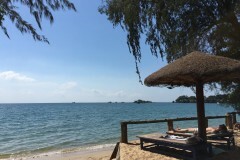 Browse our independent reviews of places to stay in and around Phu Quoc Island. 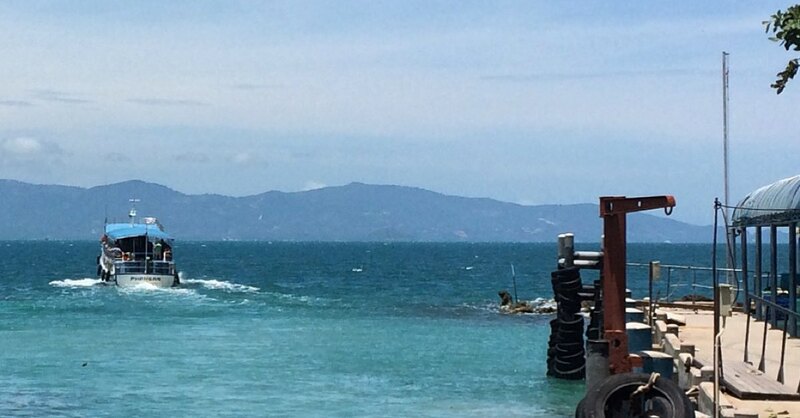 Read up on where to eat on Phu Quoc Island. 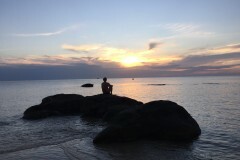 Check out our listings of things to do in and around Phu Quoc Island. 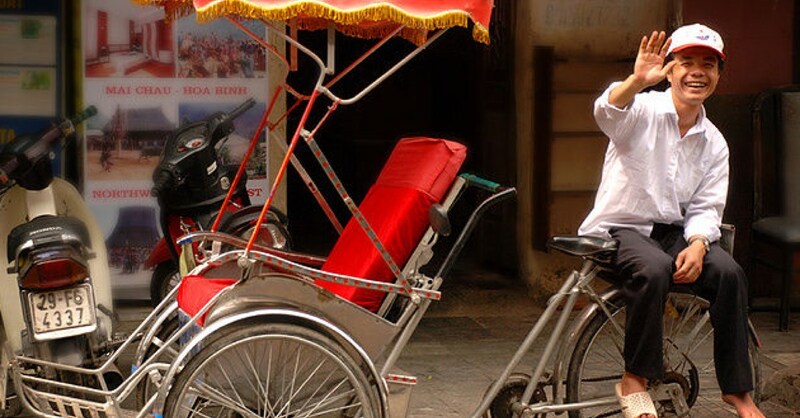 Read up on how to get to Phu Quoc Island, or book your transport online with Baolau. Planning on riding a scooter in Phu Quoc Island? Please read this. 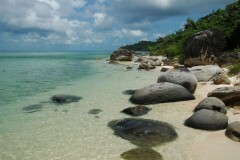 See below for more sights and activities in Phu Quoc Island that are listed on Travelfish.org.